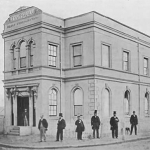 Newtown Municipal Council was incorporated on 12 December 1862. At this time, the Newtown Local Government Area was divided into 3 electoral wards known as Enmore, Kingston and O’Connell wards. Following the introduction of the Local Government (Areas) Act 1948, the Newtown Local Government Area was absorbed by the City of Sydney Council. In 1968, Local Government boundaries were readjusted once more. In accordance with The Local Government (City of Sydney Boundaries) Act No.48 of 1967, parts of Camperdown and Newtown were taken from the City of Sydney and added to the Municipality of Marrickville. South Sydney Municipal Council (known as Northcott Municipal Council until 1 December 1968) was also established by this Act. 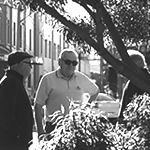 The remaining area of Newtown became part of the newly formed South Sydney Municipal Council in 1968. The South Sydney Municipal Council ceased to exist and was amalgamated with Sydney City Council on 1 January 1982. The Newtown area previously presided over by South Sydney Municipal Council was transferred to Sydney City Council. In accordance with the City of Sydney Act 1988, South Sydney City Council was established on 1 January 1989. The area of Newtown was again transferred and became part of the South Sydney City Council at this time. By Governor’s Proclamation on 6 February 2004, South Sydney City Council was amalgamated with the City of Sydney. Former South Sydney City Council Local Government Areas, including Newtown, were transferred to the City at this time. 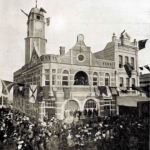 Camperdown Municipal Council was formed in 1862 and in 1870 absorbed Cook Municipal Council. It was then amalgamated with Sydney Municipal Council from 1909 by the City of Sydney Boundaries Act 1908.